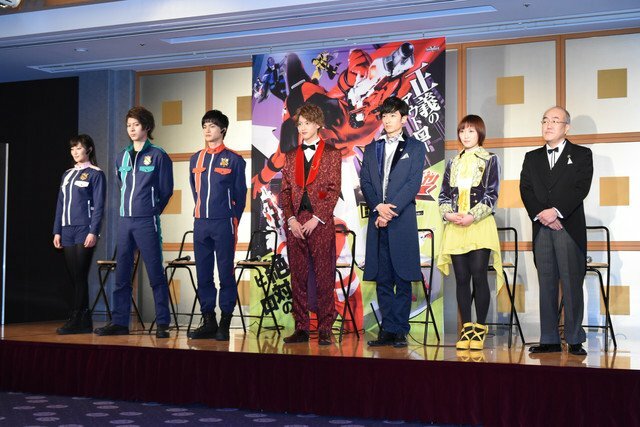 The cast for the 42nd Super Sentai: Lupinranger vs Patranger have been revealed. In addition to the cast is the pictures for the main mecha the Goodstriker. The DX Goodstriker can combine with the mecha of either the 3 Lupirangers or the 3 Patrangers to make each teams’ combined mecha. The Goodstriker can also go into the changer. Lupinranger vs Patranger premieres on February 11th 2018 in Japan. What do you think of the cast? Will you be picking up the DX Goodstriker? Leave a comment down below!